Our beautiful lodge has hosted thousands of guests. Our new lodge is located near the central area of Dillon in Summit County, Colorado (a.k.a. "Colorado's Playground"). 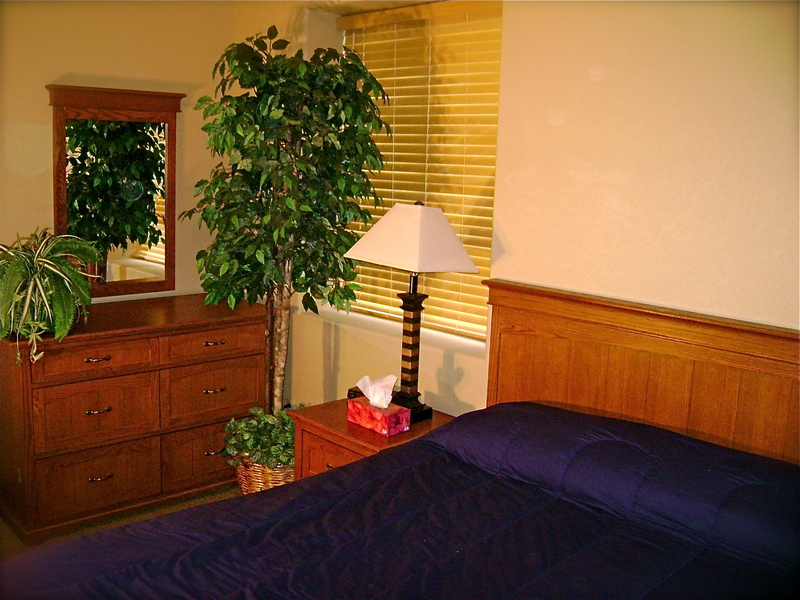 Consisting of 3, 4, and 7 bedroom accommodations, we can satisfy groups of all sizes. We specialize in helping you have an enjoyable, comfortable and memorable vacation in the beautiful mountains of Colorado. 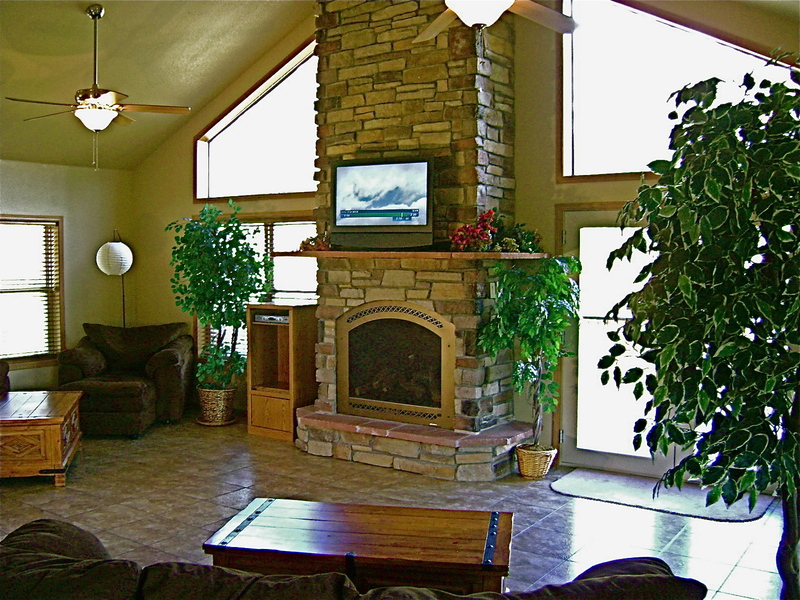 Surrounded by trees and spectacular Rocky Mountain views, the Lodge is perfect for your vacation. Everything is new and fabulous. New appliances, plush furniture, towels, comforters, etc. The Lodge is nicely decorated in warm earth tones, with solid oak doors, blinds, and accents throughout. There is a large Game Room and a rejuvenating spa with 100 jets. There is even a fox den in the rocky hills adjacent to the Lodge. Moxy Fox and her 4 kits are often seen frolicking in the woods. We also offer free WiFi Internet access, cable T.V. with many premium movie channels and multiple televisions. Secluded, yet having easy access to everything you need, this is truly one of the finest places to stay during your visit to the mountains of Colorado. "Truly AMAZING! We had a last-minute family get-together and everything couldn't have been more perfect! The pictures of the house don't do it justice, it's huge and comfortable and has everything we could possibly want. We didn't see the kids for 4 days - between the hot tub, pool table & ping pong table - they were in heaven. Thank you, we'll definitely be back!!" "We stayed with a large group of family for Thanksgiving and it worked great. The kitchen is so open and there was plenty of room for everyone to sit at a table and eat. Bedrooms were big and we all enjoyed the game room. The owner was very helpful and made our time enjoyable." "We came as a large group and booked both units. The layout worked very well - we used the downstairs kitchen for a rolling breakfast and in the evening all of us were able to sit down together in the main upstairs room. The pool and air hockey were popular in the evening. Everything was very comfortable and the owner, Kevin, was a joy to deal with." For additional comments from our guests, click here to see our Guest Book. Would you like to see a video of Moxy Fox from the deck? Click here!